itcher solves the world’s entertainment discovery problem through a well-tested artificial intelligence (“AI”) technology that connects people through entertainment. itcher is a B2C (mobile and voice) app that generates book, movie, TV series, music and game recommendations personalised to each user's taste, as well as a B2B SaaS platform that can power the recommendation engines of set top boxes, OTT platforms, mobile devices and other content delivery platforms. 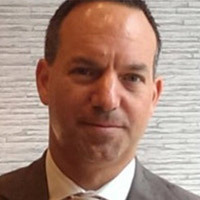 Jason joined itcher as CEO in 2017. He has a track record in leading and growing businesses for the Virgin Group, ITV, Universal Studios, Getty Images and digital technology companies. He has built his career in commercial roles based in London, Berlin, Singapore and across the US. Jason received his MBA from Chicago Booth.